They were very fast in making an offer. We decided to sell our rental home and did not want to wait for a realtor. Several friends recommended I Will Buy House so we tried them out. They were very fast in making an offer. The price was fair and they agreed to pay all closing costs. Once we signed the contract they did all of the work and made it easy for us. The closing was done locally and we got paid exactly what we were promised. I would use I Will Buy House again to sell a house. What Do You Have To Lose? Get a Cash Offer In 30 Minutes! Hey there, we’re Alex and Viktor – friendly real estate buyers here in Washington. If you are thinking about selling your house for cash we would love to give you a cash offer. You can simply Accept or Decline our offer and there is never any pressure. We buy houses in Spokane for cash and close on the sale fast. So far we’ve bought over 50 houses totaling over $10,000,000. We are proud of our track record because behind each house there is a story and people that we’ve helped. We know what we are doing and we make it our top priority to complete our purchases on time. Some Of the Real Estate Problems We Solved In The Past. Do you want to sell your house to someone you can trust? We are the most trusted house-buyers in the Spokane area. We have received several excellent reviews because of the quality of our services. We work really hard to ensure that our sellers are 100% satisfied with the outcome. Don’t just take our word for it, read the Google reviews, examine the testimonials , or listen to one of the sellers we interviewed after we bought his house to see what others are saying about our company and our service. The quality of the service we render is our identity and we can boast that it represents us well anywhere. 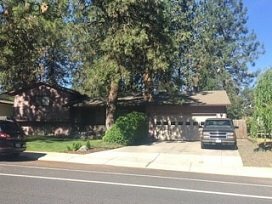 We are expert Spokane area home-buyers, so we understand the process, have the right contacts and stand by our commitments. 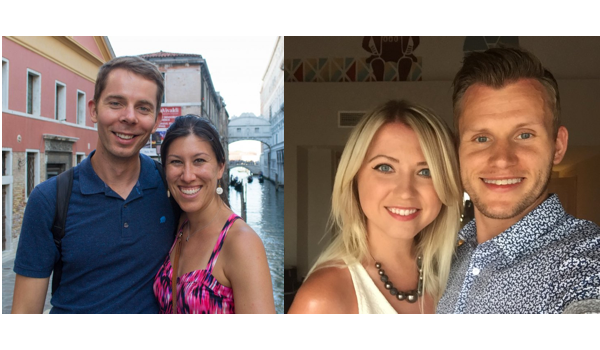 We are two business owners with a small team, and we are supporting our families with this being our committed full-time job. This means that when you choose us, you choose experience, full commitment to excellence, and high ethical standards. There are quite a lot of companies who purchase homes for cash in Spokane, So why us? What makes us stand out from the rest? We don’t just show up with cash to buy your house, we bring compassion and kindness, a listening ear and a compassionate heart to understand what you’re going through and provide you the most beneficial solution to help you out of your tricky real estate problems. Alex has a degree in aerospace engineering and business administration. He’s detail-oriented, and a skilled problem solver. Viktor has a nursing degree. He brings patience, kindness, and compassion to the deal. So whether you’re trying to avoid foreclosure, or just need to get rid of a property and aren’t sure how to go about it – you can count on us to bring compassion, understanding, and beneficial solutions to your problems. We’re very experienced in helping homeowners who are experiencing complicated situations, so if you don’t know which way to turn, need advice, or need to sell your house fast – give us a call! To learn more about us and our transparency, click here . Are You Looking For Someone To Buy Your House Fast? Contact us today ! When we connect with you over the phone, the first we do is to understand your goals and requirements, then we proceed to discussing the home-selling process and the options available to you. we’ll provide you with all the important information so that you can make the best-informed decision for you and your family. Finally, we work hard to help you achieve your goals. Whether your goal is to sell your house fast for top dollar or it’s to just get rid of the headache of home-ownership, we will make it happen. We will offer you a reasonable cash offer and close on your house anytime you want based on your schedule , which means you don’t have to pay any closing fees, excise tax, or wait on bank financing, which could take up to six weeks. With us your closing is immediate and guaranteed! the house needs massive repairs, you need to sell in less than a week, you are going through a divorce , the house is in probate, you are moving, you have unpaid liens, or are facing foreclosure . Whether your situation calls for keeping the house, listing it with one of the top local agents, negotiating a loan modification, or selling the house to us for cash, we will help you make the best-educated decision. No matter the problem you’re facing, our team will have a suitable solution or will guide you to someone in the industry who does. Some home-owners ask us, “ can I receive money ahead of the sale to pay for moving expenses? ” The answer is, “yes!”. Because unlike selling your house to a traditional buyer (through a real estate agent) we’ll actually advance the money ahead of the closing. You can find more information about Spokane and living in Spokane neighborhoods on the official city website . 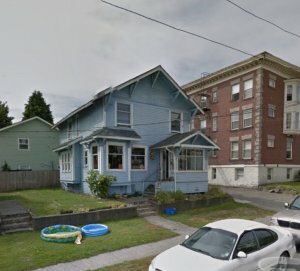 We Buy Houses In Spokane For Cash, No Matter The Condition! If you’re wondering whether to sell your Spokane home through a Realtor, or to an investor, the answer is: it depends. if you are looking for more info, here is an in-depth post that we wrote that discusses the pros and cons . If You Decide That Your Best Option Is To Sell The Home To Us, We Will Lead You Through Our fast 4-step process And Buy Your House “As Is” With A Fair Cash Offer On The Date Of Your Choice. If you want to learn more about the home-selling process, just click here to learn more about how it works. 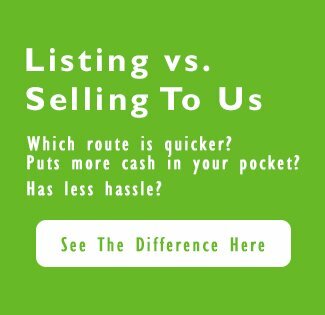 Are you looking for cash home-buyers in Spokane? we’d love to talk to you! Not only are we a registered business here in Spokane, but all our past customers will vouch for the quality of our services. Feel free to search for us on Google and Facebook, you can also check out our reviews when filling out the form above or give us a call, we’ll be happy to schedule a time to come out to meet you in person so we can learn more about your current situation and property, and also, so you can meet us for yourself. 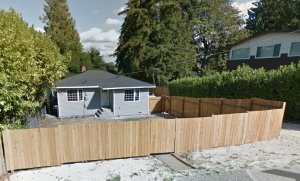 We created iwillbuyhouse.com to provide Washington home-owners a GREAT home-selling experience. We also buy houses in Oregon State, our most recent purchases were in: Seattle , Everett , Olympia , Federal Way , Spokane , and Tacoma . At iwillbuyhouse.com we guarantee excellent and fast service . Talk to someone in our office by calling us today at 206-512-3980 or emailing us at acquisitions@iwillbuyhouse.com. We look forward to assisting you! Besides Spokane, we buy cash homes in these other areas throughout Washington and in multiple markets across the US. Contact us to find out if we buy in your area.